La Aurora 107 cigars are named to commemorate the company's 107 years anniversary. It is quite an achievement, and we here at Cigar Liberty commend them. 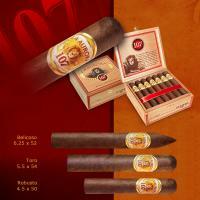 Anyways, back to our review of the La Aurora 107 cigar. The smoke is pretty smooth and it has hints of caramel, cinnamon and a little nutmeg. But it would be shameful if we didn't point out that it actually starts off with a nice peppery kick. 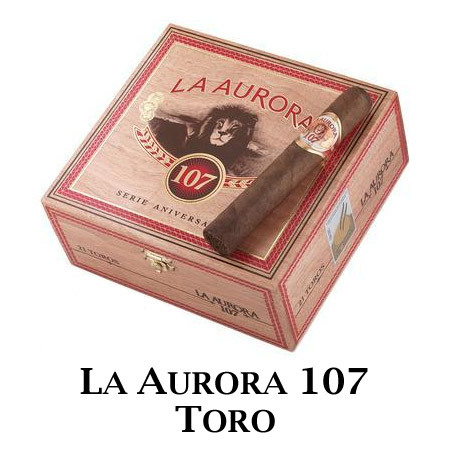 If you are seeking a Cigar with a Sun Grown wrapper, then get a hold of a box of the La Aurora 107, because they litterally are one of the hardest cigars to keep on the shelves.